"Sometimes you see things and wonder why they have never been made before. Perhaps because having a large number of the Space Ruler by ATYPYK in the classroom could result in chaos. It’s a ruler, let’s get that bit out of the way, even if it does only go as far as 21cm. But it is much more than that. 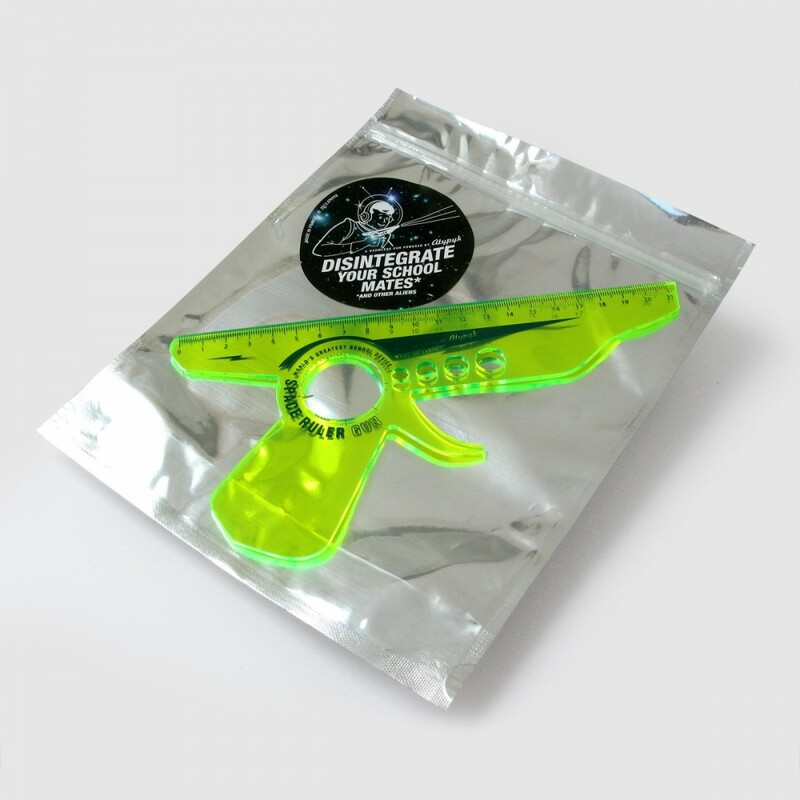 This is a ruler shaped like a ray gun out of a vintage sci-fi movie, made out of a fluorescent plastic. Hours of running around and screaming fun guaranteed." "At some point in a child’s life they eventually make the connection that a long plastic ruler is not unlike the barrel of a gun, and suddenly math homework gets a lot more enjoyable as they blast away at imaginary aliens between problems. 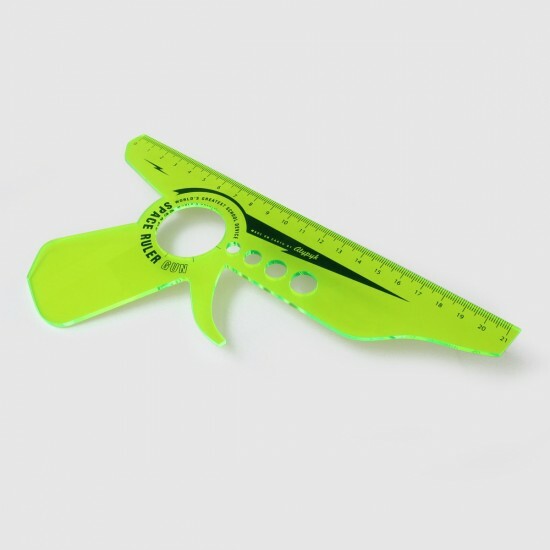 The folks at Atypyk have taken that idea one step further with a pair of plastic toy ray guns that double as rulers and protractors. On their own the pieces in this $20 set are fairly innocuous, and can easily fool a teacher into thinking they’re nothing more than tools for completing geometry assignments. But when assembled they instantly become a vital weapon in your imaginary war on whatever happens to be invading your classroom at school.There’s also a simpler $16 version that doesn’t assemble and leaves a little less to the imagination. You might find it harder to sneak that version into a classroom without setting off warning bells, but between the two it definitely more looks the part."